Our product range includes a wide range of dehydrated green chilli powder. Being perfectly shaped and swift movement of our organization, we are instrumental in offering wide assortment of Green Chili Powder. The offered Green Chili Powder is processed with the help of dehydrated chilli and advanced processing machines under the visionary guidance of qualified food processors. Further, Green Chili Powder is strictly checked on different quality parameters assuring its taste and quality at user's end. 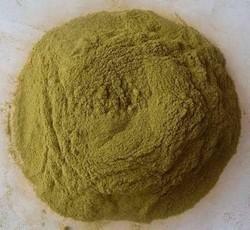 Clients can avail Green Chili Powder from us at market leading price.